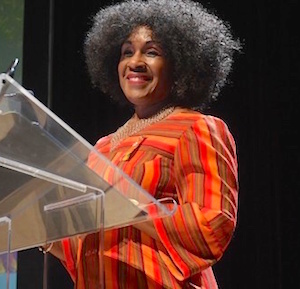 Dr. Mayann Francis is probably best known to those in the Dalhousie University Faculty of Management as the first Distinguished Public Service Fellow in the School of Public Administration. But her legacy at Dalhousie and beyond extends much wider. That legacy was honoured three times earlier this year. In May, she was awarded her fifth and sixth honorary degrees from Acadia University (Doctor of Civil Laws) and the Atlantic School of Theology. Her Doctor of Divinity, honoris causa, from AST recognizes “her incredible contributions to Nova Scotia and beyond, especially in the fight against racial discrimination.” Those contributions include many “firsts”, including serving as the first Employment Equity Officer at Dalhousie, the first female ombudsperson in the province, the First African Nova Scotian CEO of the Nova Scotia Human Rights Commission, and the first African Nova Scotian Lieutenant Governor of Nova Scotia (2006–2012). This year, Ryerson University Student Award was named in her honour (the “Honourable Mayann Francis Ryerson Student Award”). The award was presented at the 10th Annual Viola Desmond Awards and Banquet on May 11, 2018. This setting was particularly fitting for Dr. Francis who, during her tenure as Lieutenant Governor, conferred a posthumous Free Pardon on Desmond, a Nova Scotia entrepreneur and civil rights pioneer,. Dr. Francis continues to steward Viola Desmond’s legacy. In October, she emceed the inaugural Viola Desmond Legacy Lecture Series — a four-year series celebrating diversity and inclusiveness at Dalhousie, with civil rights leader Angela Davis as the first speaker. The Faculty of Management congratulates Dr. Mayann Francis on these new honours and for her legacy of public service to our campus and province. Read more about Mayann Francis’s contribution to Dalhousie in her Dalhousie Originals profile.